Perhaps not what you imagined you'd wake up to on Christmas morning! This lovely ornament features the artwork of Amy Brown, brought to life in 3D. 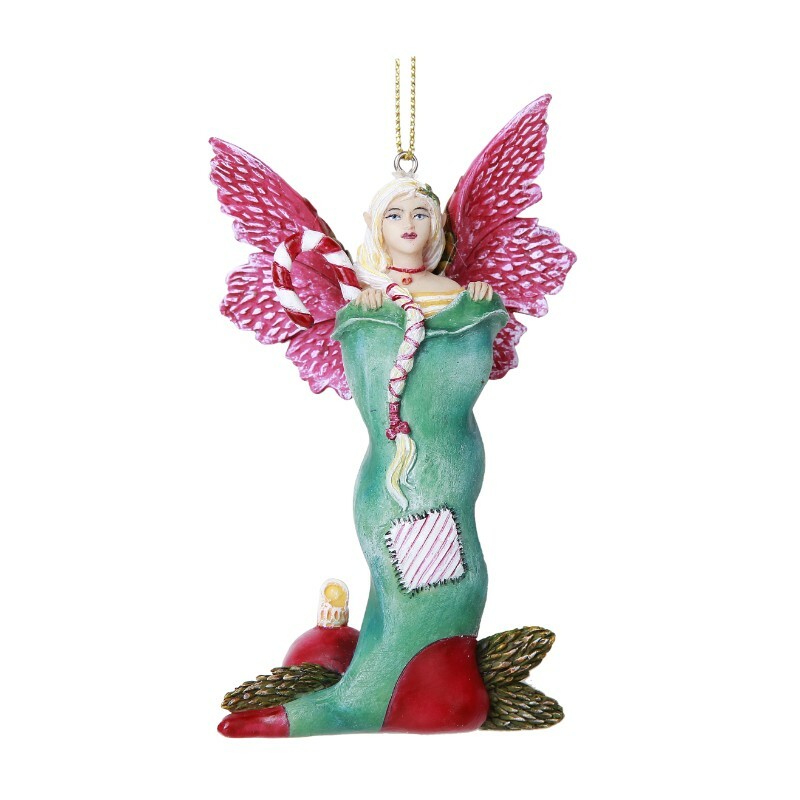 The figurine is shaped like a holiday stocking, but there's a fairy bundled up inside, along with a candy-cane! This would make a great ornament on the tree, but would look great hung just about anywhere! Size: 2 1/4" x 1 1/4" x 4"